A lot can happen to an innovation program in three years. Some companies see their programs gain momentum and excel in that time. Other companies experience something different. According to former Volvo Trucks Innovation Manager Mike Hatrick, most organizations start to see their programs fail about three years in. At the Front End of Innovation conference earlier this year, Dr. Gina O’Connor, Associate Dean for Academic Affairs in the Lally School of Management and Technology at Rensselaer Polytechnic Institute, shared her findings from a study of 129 people in innovation roles at major corporations. She found that out of those people, just 49 percent stayed in the same position after three or more years. 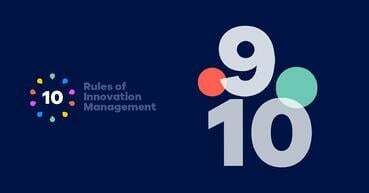 So why are people leaving and innovation programs failing three years in, and what can organizations do about it? If you look at the skills required to run an innovation program end to end, it's more than overwhelming. From my experience as an enterprise innovation consultant at HYPE Innovation, I can say that most companies tend to move people to an innovation role when they show one or more of the competencies listed above. However, they often don't consider whether those skills are best suited for the discovery, incubation, or acceleration phases – especially in the early stages of the program. 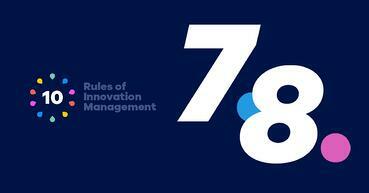 In the early stages of an innovation program, managers try to do it all. We see a need for defined roles that allow team members to take advantage of their innovative strengths – roles that provide autonomy with underpinning guidance for where they should invest their energies. For example, people strong in evolving the opportunity tend to have little interest in articulating opportunities. This puts the program at risk because if the problem/opportunity isn't clearly stated, it won't resonate with the audience. The audience will struggle to understand how they can help, and engagement will suffer. Additionally, when the net is cast wide, the team is left sorting through a ton of junk. When there are stated needs and on-target ideas, but a lack of incubation skills, ideas stall out at the evaluation phase, leaving no results to justify existence. To make the leap from process improvement to new products or services, organizations must make a deliberate investment to find and foster talent. As mentioned, 51 percent of people in innovation roles tend to leave within three years – never reaching mastery within the organization. "They had either moved to a business unit or left the company, rather than being promoted within innovation," O'Connor, Corbett, and Peters write, pointing out the loss of expertise. They found that more people left the company than moved within innovation roles. The authors also learned that of the people who left, 87.5 percent are working in an innovation function for another company or started their own company. Dead-ends. 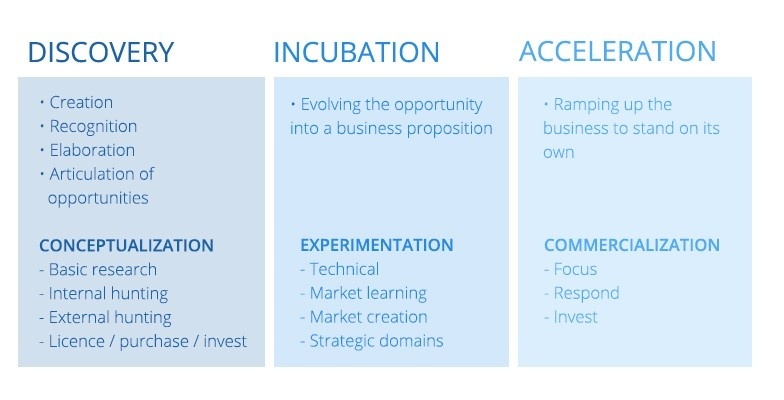 Ideas enter at the discovery phase but don't go through incubation. As noted above, the skills required for discovery differ from those needed for incubation. Not having the incubation skill set means leaving good ideas unexplored. Incremental execution. Ignoring incubation to move ideas straight from discovery to acceleration means the implementation of only the most obvious opportunities. Instead of creating new business opportunities, organizations are stuck with incremental product development. Lack of persistence. Teams unwilling to stick with incubation after meeting a threshold of investment, bail on the idea, foregoing any potential learning. Lack of alignment between leaders. As ideas grow into potential projects, the hand-offs required often kill them. Those receiving the ideas might not leverage the learning accumulated and never realize the potential. You can see there's some risk for accepting a role in innovation. The brave and sometimes naive few that take the position will often face project failure, unpredictability, lack of recognition, and career atrophy. It's no wonder people in innovation roles burn out or move on after only a few years. The company suffers as team members leave. The development of innovation capabilities is stunted each time the team experiences turnover. The lack of experience leads to bringing little to no breakthroughs to market. The good news is, this can all be remedied. 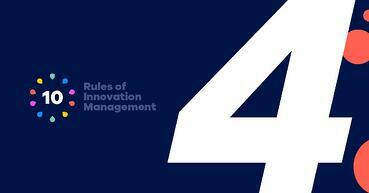 Organizations must recognize innovation as a core capability. We already discussed the importance of defining roles and closing talent gaps. Let's consider the model below by O’Connor, Corbett, and Peters. As an organization matures and wants to move beyond incremental innovation, this is the guidepost to work towards. This structure shows that projects take place within areas of strategic intent and those combine to define the company’s strategic innovation portfolio. The proposed hierarchy is necessary to enable coordination of various parts of the organization toward a common goal. Hierarchies are essential for cross-organizational decision-making, to include resource allocation, strategic direction, and change management. Without the hierarchy, many agendas are at play and chaos ensues. Obviously, there's more to sustainable innovation then setting up a career plan for innovation professionals and a growth plan for your innovation department. And it's more than we can tackle in a single post. However, we can at least give an outlook on what to keep in mind on the road to sustainability. Strategic alignment. Aligning with the company's core business goals means you're in step with the direction and helping find ways to support that. It’s the fastest way to build acceptance and momentum while retaining an edge for creativity and exploration. Processes. Innovation processes are the tracks to drive repeatable success. They are also what enables innovation to be part of the day job. The right methods can turn a limited-scope innovation program into a systematic, widely adopted, and sustainable business activity. Critical areas for the innovation and leadership teams to assess and review include decision-making, evaluation, and measurements. Technology. Today, most innovation initiatives go beyond a local R&D department. Innovation departments must deal with scale, distances, and time zones, not to mention different languages and cultures. To effectively handle a diverse crowd, you need technology. There are a plethora of specialized suppliers and platform vendors. 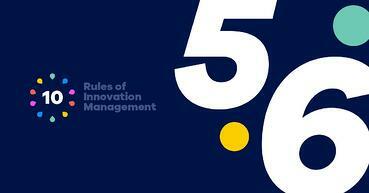 Innovation management not only supports industry, but it also is an industry. To better understand pitfalls and opportunities when selecting a partner for your innovation program, check out this report. Jennifer Dunn is the Director of Customer Success at HYPE Innovation and has over seven years of experience in early-stage innovation program management. She works with clients like Mattel, BAE Systems, and UC San Diego to establish and embed collaborative innovation processes that grant them access to ideas and insights from their employees, customers, and partners. Jennifer facilitates innovation sessions aimed at solving business challenges and ensures successful and sustainable online innovation programs. Before joining HYPE Innovation, Jennifer managed the enterprise innovation program at Cancer Treatment Centers of America, working with leaders across the organization to identify business challenges and find solutions based on collaborative and data-driven methodologies.